Home/News/Are Apple’s services a new era for the company or just a filler before the next industry-changing product? The past 10 days or so were quite eventful for Apple, but things didn’t transpire in the way most people expected them to, at least not before we got more information about the nature of the March 25 event. With the leaks about new Apple products coming steadily, people expected that hardware and software will share the stage at the Steve Jobs Theater. That wasn’t the case, however, and if anyone still needed proof that Apple is shifting its focus towards services, you couldn’t get a clearer one than what actually happened. Let’s talk some more about why Apple chose to go for the “quiet” product release and focus all attention on its services. If there’s one sure thing in this world, it’s that no one likes telling us how amazing Apple products are more than Apple itself. The company’s presentations are infamous for the number of superlatives that are thrown around generously, whether describing the design of a product or its functionality. Watching an Apple event you’d think that the company is God’s gift for humanity, saving us from the mediocrity we’ve been engulfed in. Through gadgets. That look nice. Of course, every company overexposes the qualities of its products while leaving shortcomings in the fine print. That’s how marketing works. But Apple’s mantra is especially strong and to a large extent backed up by the products themselves. Naturally then, when we heard that new iPads and other products are coming, we expected to get more of the same in terms of praise. And we did, but in a form much different from what we’re used to. Instead of being pulled out of a pocket or beamed down as if they just descended from the heavens, Apple’s new products were announced via press releases on the company’s website. Now, that’s not the first time Apple has done this, but in lieu of its then-upcoming event, it looked a bit like Apple is saying “Oh and by the way, here are some new products.” And after seeing what the new releases were, no one really disagreed with the way Apple launched them. The new iMacs, iPads and AirPods were all sporting the same design as their predecessors, with only an appropriate bump in specs. Hey, support for the Apple Pencil is a pretty big deal, right? Right? There are two ways to look at what Apple did. In camp one, the common opinion is that this product “refresh” was lazy. Switching some components for others, after all, can’t be that much hard work, right? But people that want the latest and greatest will still go buy them. Just another money grab by Apple then. Case solved! Or maybe, the company has run out of new ideas and it’s now stuck, unable to innovate further. The end is nigh! Sell your Apple stock! In the other camp, things are a bit calmer. People there see the aforementioned products as industry staples that need no changing. After all, everyone recognizes the iPad with its iconic home button. And iMacs can be found in almost every successful startup’s office, so customers clearly like them as well. “Don’t fix what ain’t broken,” the saying goes, and in Apple’s case, that’s a motto to go by. Give people the performance they’ve come to expect in the shape they’re used to and it’s business as usual. Lack of change isn’t an issue unique to Apple, however. As we’ve talked before, significant upgrades have become hard to achieve. Aren’t we forgetting something though? 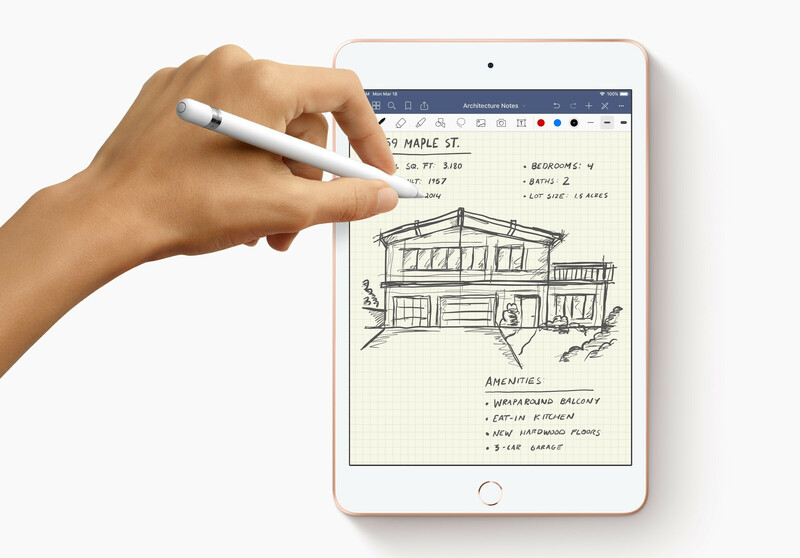 We can’t ignore the elephant in the room, the latest iPad Pro. With it, Apple did some quite drastic changes – not only in terms of design but some core functionality as well, by switching the Lightning port to a USB Type-C. The changes were warmly welcomed and people expected that this new philosophy will trickle down to other Apple products as well. Except it didn’t. The new iPad and iPad Mini are still rocking the Lightning port and so is the new AirPods charging case. The tablets didn’t get the Pro’s thinner bezels either, nor FaceID, which Apple is so proud of. Rumor has it that the 2019 iPhones will still be using the Lightning port as well. This fragmentation is unusual for a company that’s built on ease of use and interconnectivity of accessories. 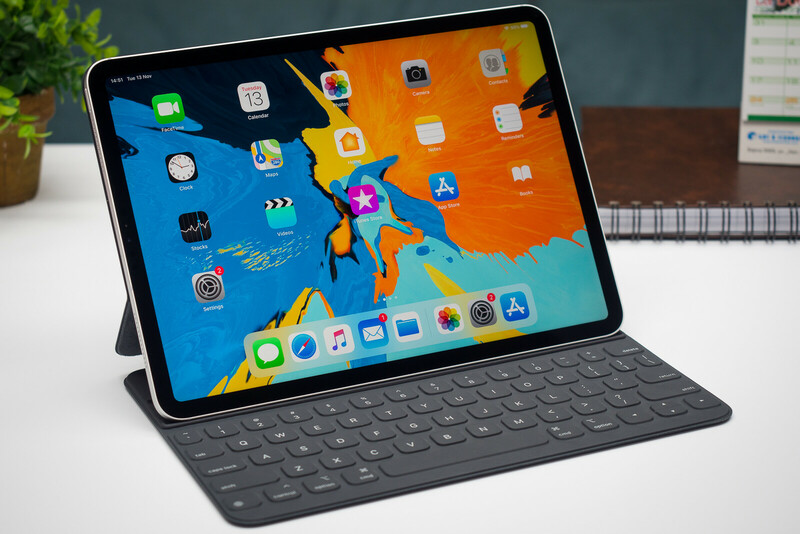 Was the iPad Pro move meant to diversify the “Pro” line from the rest of the iPad family and justify the higher price? Or was it the first step of a bigger plan that got changed since then and instead of proper new products we got a rushed specs upgrade? We’ll probably never know, but with the company’s new strategy, does it really matter? Hardware is now just an afterthought, after all. After Apple’s March 25 event and the slew of services it announces, it’s now accepted as obvious that Apple is now going to be a services-centric company. But let’s not forget that despite Apple’s software division making great leaps in terms of revenue over the past couple of years, the main cash cow is still the iPhone. So the shift of focus raises the question: Are services coming forward on their own merits, or is the change necessary because the iPhone is underperforming? It’s not a secret that the global smartphone market has been slowly but steadily shrinking over the past year. But it’s also not a secret that the 2018 iPhones haven’t met Apple’s own sales expectations. Almost every day there’s a part supplier announcing a reduction in orders and lowering of quarterly revenue expectations. This doesn’t look good in the eyes of investors and naturally, they want to know what Apple is going to do about it. So while there’s no doubt that new services were on Apple’s agenda either way, the unsatisfactory iPhone results might have forced the company’s executives to put the foot on the gas and make the new apps a priority sooner than expected. Spring 2019 has barely begun, and Apple is announcing products that will be available in fall? That’s out of the ordinary, to say the least. Will Apple have another event in the fall when it will remind everyone about its services and then release them? If yes, then what was the point of this one? It’s unusual for Apple to mark its territory like that but it seems that the situation right now required some urgent action. Even the names feel a bit rushed: News+ and TV+? TV+ is probably one of the most overused names in the TV industry. It just doesn’t sound fitting for the amazing service Apple is taunting it to be. 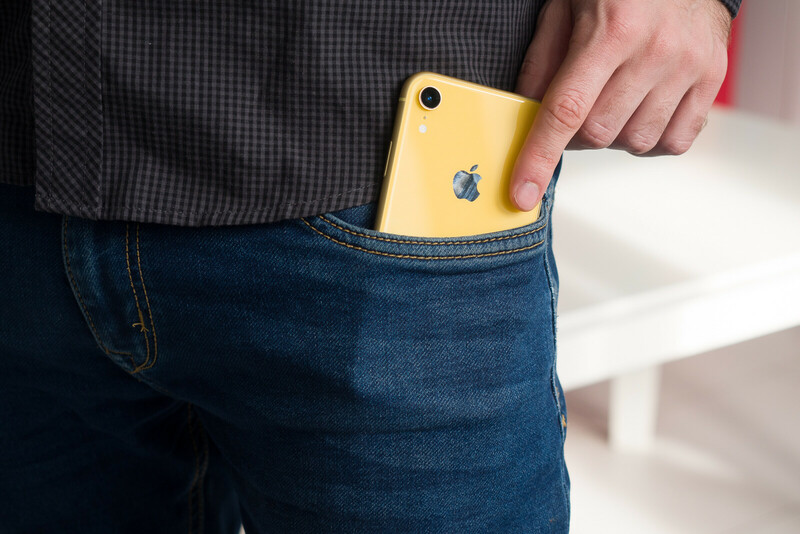 And sure, TV shows and games need time to be developed, but so do hardware products, yet we never see a sneak peek of the iPhones that are coming in fall (except in leaks). Probably the only product Apple mentioned without releasing it was the infamous AirPower that’s constantly a few months away from becoming a reality. But even if the fall service releases go great and new subscribers are joining in droves, this might not be the sustainable long-term solution Apple is looking for. iPhones are the world’s most popular phones, at least when it comes to brand awareness, that’s for sure. While they’re a staple in the US, many other countries are big markets for Apple as well: China, Japan, Germany and so on. When Apple wants to sell its iPhones in another market, it has to make sure to get the appropriate regulatory approval and then translate its software in the local language and it’s pretty much done. Overall, the rest of the world contributes a lot more to iPhone sales than the US when it comes to pure numbers. With services, however, Apple might have a hard time achieving that. Beyond the issue of translating and dubbing/subtitling shows and movies, there’s also that of how appropriate the content will be for other countries culturally speaking. Yes, Hollywood movies are watched everywhere and shows like Game of Thrones are a global phenomenon. But far fewer people are interested in reading articles about mostly American problems. This is probably why services like Apple News+ might never make it to countries that don’t have English as an official language. Another cultural difference is paying for subscription services. While businesses like Netflix, Spotify Premium and others are well established and profitable in the States, in many countries, people aren’t so used to paying for something they don’t own. And even if they do have an iPhone, it’s far from a sure bet that they’ll become Apple subscribers as well. This can drastically reduce the cash flow Apple will receive from foreign markets. Of course, Apple won’t stop making (or selling millions of) iPhones anytime soon, so there’s no need for the services to take the whole weight of the hardware segment. Plus, there might be other products that could fuel a new era of hardware dominance. Are we on the verge of Apple Hardware 2.0? While current Apple devices might be peaking, it doesn’t mean that the shift towards services will be permanent. What we’re experiencing right now could be just a temporary lull before the next generation of Apple products is ready for release. Not long ago, Apple CEO Tim Cook said in an interview that the lasting impact he wants Apple to make is not in technology, but in health. We’ve seen the company’s efforts in that regard already paying off. It’s not rare to hear about a person’s life being saved by an Apple Watch. 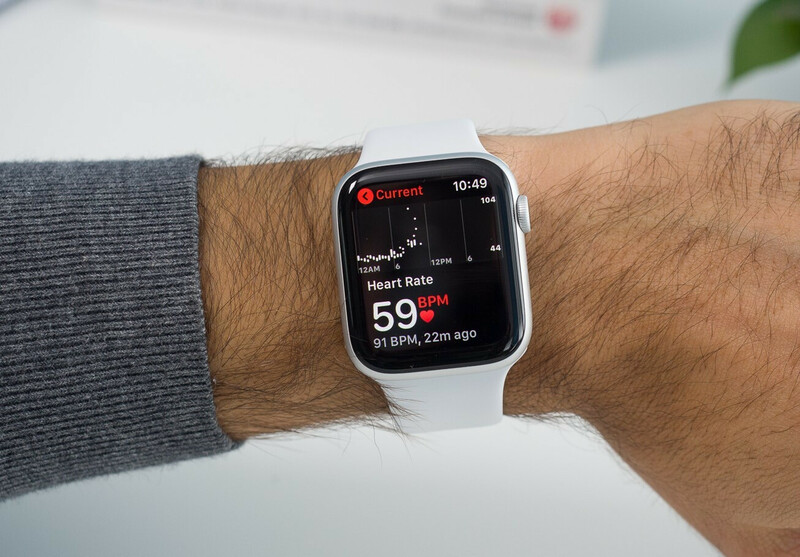 In the upcoming years, we might see a number of new products no one is expecting (at least right now, and we’re sure there’ll be leaks) that will compliment Apple’s health initiative. One thing is certain: there is money in healthcare. And if Apple manages to make living a healthy life fun and trendy (which it already kind of is) then Tim Cook will be laughing all the way to the bank. But let’s not forget the other field Apple is focusing on: augmented reality. The company’s AR headset has been spinning in the rumor mill for years now, but recently it’s starting to get more traction and clues coming from the mothership at Cupertino are pointing that something important is coming in one shape or another. Will it be as revolutionary as the first iPhone or iPod? There’s definitely potential for it. If it is, Apple will be back on the forefront of innovation with others looking to catch up. Until then, however, Apple’s devices are becoming more and more just differently shaped portals to its ecosystem and now more than ever, we can even access it from third-party hardware. Is that out of necessity or just part of the larger scheme Apple is working on? As always, time will tell. AT&T's real mobile 5G network is the first to hit this milestone in the U.S.